There are many tools on the market which provide us multiple ways of creating reports. It’s common that a company “A” prefers one reporting solution over the other, while company “B” has a completely opposite experience. 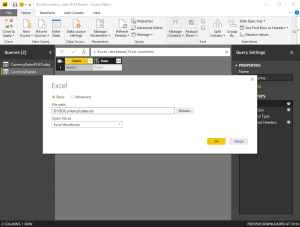 The same goes for people – we also have our favorites – one wants to see a report prepared with PowerBI while the other would like to use Excel, simply because knows it better. Every time we need a report we need to prepare data first. 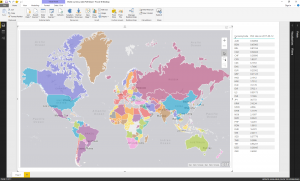 Analytical and data visualization tools are different and require different skills to prepare data for reporting or analysis. It costs time, requires a tool-specific knowledge and of course provides redundant work in a layer between a data source and a reporting tool. How about having the shared data model prepared beforehand with a data virtualization tool like Querona and reused? 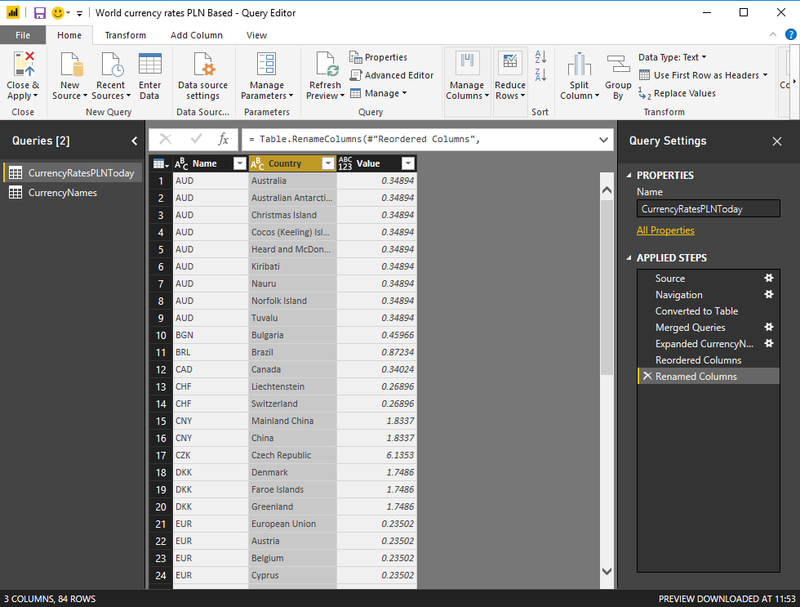 Let’s have a look first at how it can look like when the whole setup is done with PowerBI. Then we will try to the same but with Querona as the virtual data layer. Goal We want to see a simple report with currency rates in relation to the Polish currency – Polish złoty (PLN). We would like to have a possibility to see which countries make use of which currency. 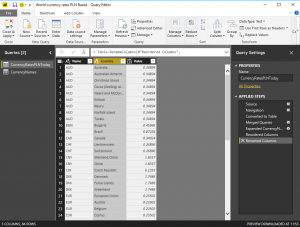 currency codes to countries mapping – as an Excel worksheet. First, we need to import sources to our report. On the source view to the right, we can find multiple steps that have been applied, before the whole query is ready to process. 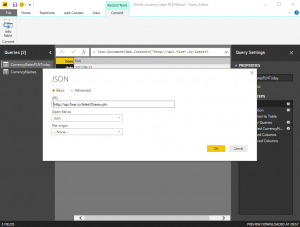 The source is in JSON with a child array of rates (record in PowerBI) – that is why there are transposing, merging or expanding steps on the list. The second source also requires some rework. A few columns are not needed, also countries without a currency have to be removed. 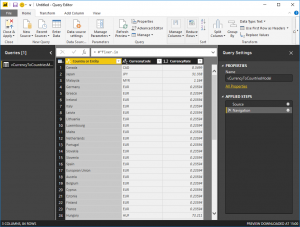 It’s not possible to reuse data preparation steps in another reporting tool. If we want to use another tool, we have to implement all the steps again or move processing into Data Warehouse and expose data from there. 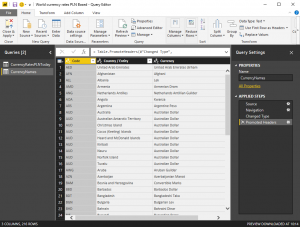 We are forced to import all data used from all the data sources into the tool because it is not possible to use data from more than one source in a direct-query mode in PowerBI. In other words, if you have a lot of data at your source, it may be challenging to process a high volume of data. Let’s see if we can find another path to success, but this time we will make use of data virtualization capabilities of Querona. the data model can be shared and reused among many client tools, including analytical, reporting, AI, and others. 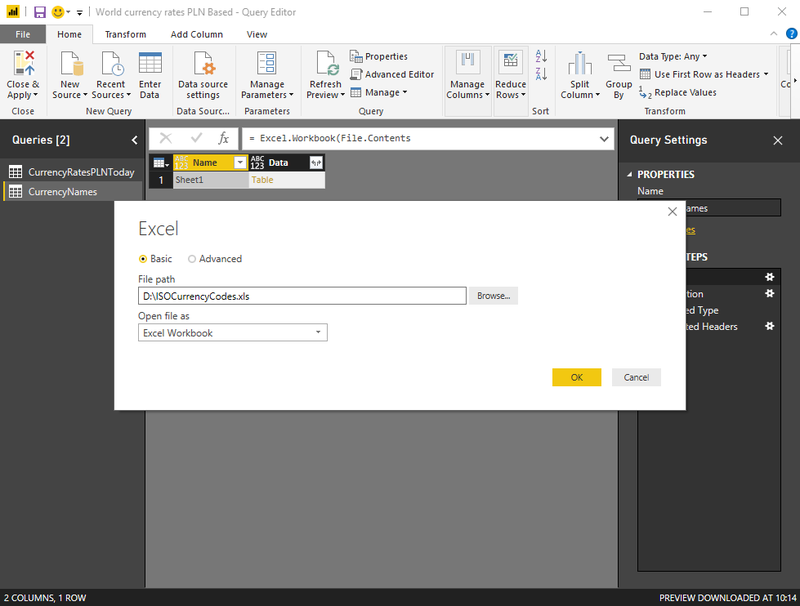 tool-specific restrictions are overcome so a tool can access data in a direct query mode. 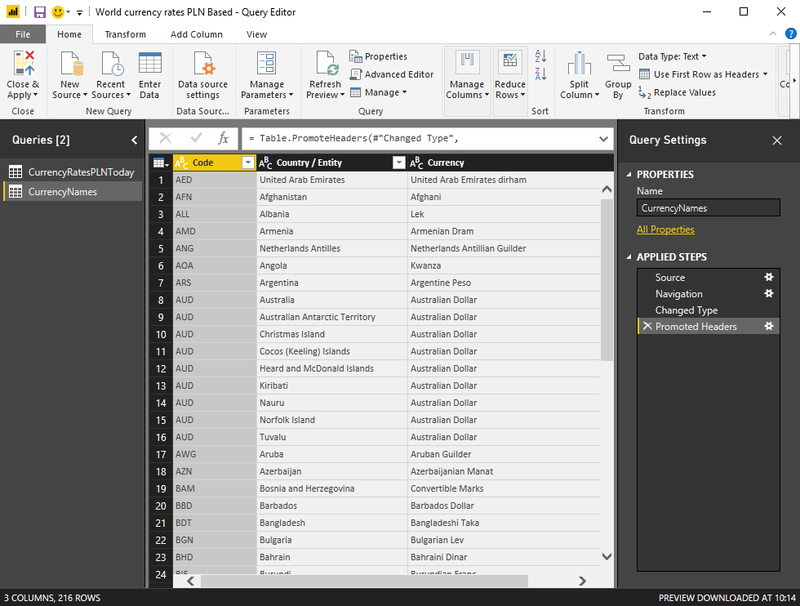 The tool was tricked into interpreting that all data came from one place (thanks to MS SQL Server emulation in Querona). the report is big-data ready – thanks to Querona, data does not have to be moved from its origin. If necessary, data can be cached on a big data platform, or in a cloud, in a completely transparent way, without any changes to our report.